What is Dragon's Call in Paladins? A look at the latest game mode introduced in the Paladins 1.4 update. 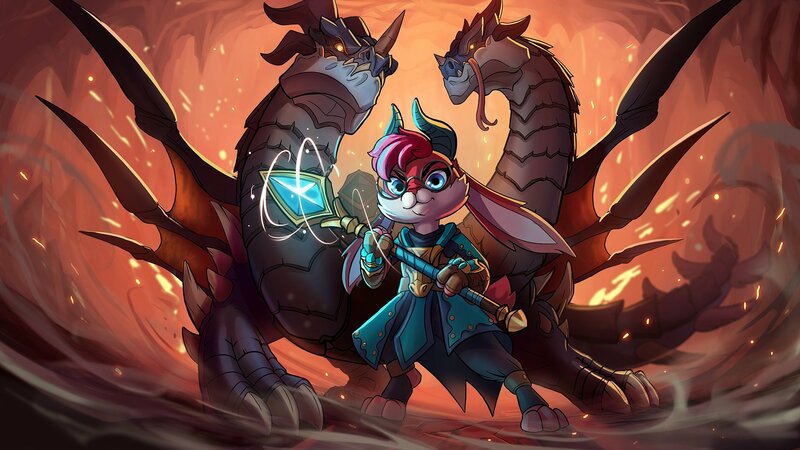 Following the introduction of a new game mode in the 1.4 update of Paladins, many players have been wondering what Dragon’s Call is. 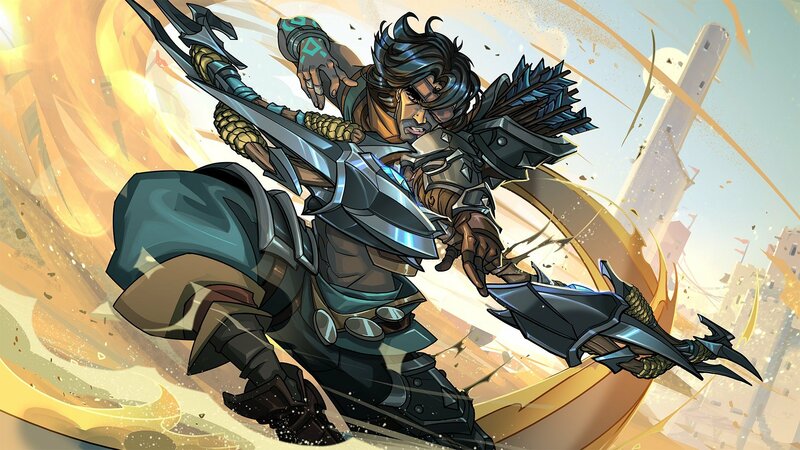 First, Dragon’s Call marks the name of a new game mode added to Paladins that features “Capture the Flag” style gameplay. 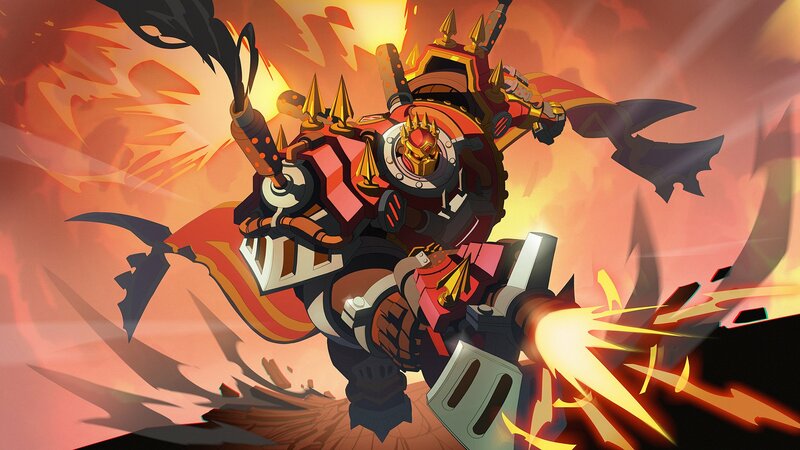 Dragon’s Call is also the name of a new event with unlockable rewards including exclusive skins and cosmetics. To help break everything down, we’ve put together a quick guide that will help explain what Dragon’s Call is in Paladins! What is Dragon’s Call in Paladins? A look at what Dragon's Call is in Paladins. According to information from Hi-Rez Studios in the 1.4 update patch notes, Dragon’s Call is a new 4v4 event game mode. By playing Dragon’s Call, players have the opportunity to unlock seals and earn Goal Points needed to acquire exclusive Dragon’s Call event items. The rules of Dragon’s Call note that players will need help their teammates carry the Warder’s Key Sphere into the opposing team’s Vault four times to win the match. Essentially, Dragon’s Call is a take on the classic “Capture the Flag” game mode. To make things harder, the Key Sphere will sap players of their strength upon touch. Additionally, the Key Sphere carrier is unable to use abilities outside of throwing the Key Sphere and dropping the Key Sphere. The Key Sphere carrier cannot be healed, they are revealed to all enemies, and when the carrier dies, the Key Sphere will drop at their location of death. After 10 seconds of being left unattended, the Key Sphere will reset back to the middle of the map. With this in mind, the best way to get the Key Sphere into the opposing team’s Vault is to have players pass it back and forth among their teammates while fending off the opposing team’s attacks. Below, you’ll find the full list of rules for Dragon’s Call in Paladins. First Team to 4 Points wins 15 Minute Time Limit If the timer runs out before either team unlocks 3 seals, the team with the most points wins. If the score is tied, the last team to touch the Key Sphere wins. In addition to the Dragon’s Call game mode, there are also new Dragon’s Call items and skins to unlock. By earning Seals, players and their team will progress along the event reward track. Below, we’ve listed the rewards available along the Dragon’s Call event reward track. A new Dragon's Call Bundle is available for purchase in Paladins at the cost of 1,200 Crystals. This bundle contains exclusive skins and access to The Vault which is a special store where players can purchase event exclusive skins. By purchasing the Dragon’s Call Bundle, players will be able to double the amount of Seals they earn along the Dragon’s Call event reward track, and will be able to unlock 3 additional event exclusive cosmetics. Below, we’ve listed all items included in the new Dragon’s Call Bundle. Get up-to-speed on the latest changes in Paladins through the 1.4 update patch notes. The Dragon’s Call game mode and event was introduced in the 1.4 update. While Dragon’s Call is certainly one of the most exciting items included in the 1.4 update, there are other noteworthy changes listed in the update’s patch notes. Below, we’ve summarized the patch notes for the 1.4 update in Paladins! Changed Daily Login rotation from 28 to 14 days. Balancing adjustments have been made to several Champions in Paladins. Abilities: Changed functionality of Defiance to work as an extended energy punch. Increased range, reduced frontal cone. Can now hit multiple players. Talents: Dark Stalker (increased Health threshold from 40% to 50%). Abilities: Assert Dominance (increased horizontal strength of Jump). Talents: Royal Subjects (reduced radius increase from 30% to 20%). Talents: Bucking Madness (NEW EFFECT), Eliminations increase your attack speed by 20% for 10s. Talents: Impulse (decreased Damage from 250 to 150), Just Breathe (Crossbow shots deal 850 damage past 120 feet). Talents: Snow Globe (increased duration from 2s to 3s, decreased energy cost from 60% to 50%), Wormhole (removed 1s cooldown reduction on Blink). Abilities: Kindle Soul (reduced range from 175 to 120). Cards: Hallowed Sight (reduced reveal length from [2/2]s to [1/1]s), Light of Dawn (reduced shield from [100/100] to [50/50]). Abilities: Lightning Staff (now deals up to 30% increased Damage the longer you're on target Healing), Totem (now deployable at 100ft range), Tempest (now grants flight, increased radius, increased duration). Talents: Maelstrom (increase Shock Pulse cooldown reduction from 0.3s to 0.5s), Spirits Domain (lighting staff now applies a heal to allies). Abilities: Blossom (reduced cooldown from 12s to 10s). Talents: Deep Roots (NEW EFFECT), Crippling Throw (now roots for 1s and bounces between enemies). Talents: Lian’s Shield (increased shield effectiveness from 60% to 100%). Talents: Street Justice (NEW EFFECT), now executes at 35% health with pounce. Talents: Davey Jones Locker (NEW EFFECT), your Shell Spin now lasts until canceled and you can control its direction. Talents: Wekono’s Wrath (now also increases Snake Toss projectile speed from 120 to 200, increase internal stun timer from 3s to 4s), Ripened Gourd (NEW EFFECT, Gourd has a 50% chance to not go on cooldown. Gourd effect does not stack). Talents: Toot (removed movespeed bonus, reduced cloud duration from 6s to 3s). Talents: Combat Medic (NEW EFFECT, your weapon shots now also heal allies). Abilities: Restore Soul (increased range from 100 to 120), Soul Collector (increased max stacks from 8 to 15). Talents: Desert Shadow (removed 2s stealth increase). Talents: Hunting Party (Hunter’s Mark now also has 2 charges), Mercy Kill (now deals 35% max health). Cards: Favored Quarry (reduced Hunters Mark reveal from [2/2]s to [1/1]s). Abilities: Protection (increased shield duration from 2s to 3s, decreased cooldown from 9s to 8s). Cards: Induction (increase ammo regeneration from [1/1]s to [2/2]s). Abilities: Assault Rifle (improved hipfire consistency). Talents: Firefight (now unlocked at default), Gunnery (now unlocked at Champion Mastery 12). Abilities: Sensor Drone (increased max deployed count from 1 to 2). Talents: Booby Trap (now applies a knockback, increased arm time from 0.1s to 0.9s). Talents: Life Exchange (NEW EFFECT, Shatter now instantly heals your target for 800 health but no longer explodes Illusions). Various bugs and issues have been addressed in the Paladins 1.4 update. Ash: Enemies now see the increased Shield size with the Fortress Breaker Talent. Bomb King: Accelerant now properly speeds up Grumpy Bomb Audio. Evie: Fixed an issue where Snow Globe caused Ice Storm to move faster than intended, shortening the intended duration of the ultimate. Fixed an issue with Wormhole where Evie would attempt to blink back, animations would play, but she wouldn’t move. Fixed an issue with Wormhole where Evie could blink 3 times if stunned. Koga: Fixed an issue where Koga could use both Agility and Shadow Step with a single bar of Energy. Khan: Fixed a Commander’s Grab issue where Khan would pass through the body of characters with an active shield. Maeve: Fixed an issue issue where immediately after Pounce, attempting to use Nine Lives could cause the animation to play but not the ability. Ruckus: Fixed Star Slayer skin showing default gloves in 1P. Ruckus can now jump when using Emitter. Terminus: Fixed an issue where Seething rage effect could persist in unintended situations. Fixed the Shogunate Loading Frame always displaying the player as loaded in. Party Leaders can no longer queued for ranked if there’s an unqualified player in their party. Fixed Raeve Maeve music stopping after respawn. Increased audio on Furia reload. Fixed an issue in ranked matchmaking where a user could select a champion they don’t own, which would cause the game to abort Maps. What do you think of the new Dragon’s Call event and game mode? Have you earned any Seals yet? Let us know down in the comments below! 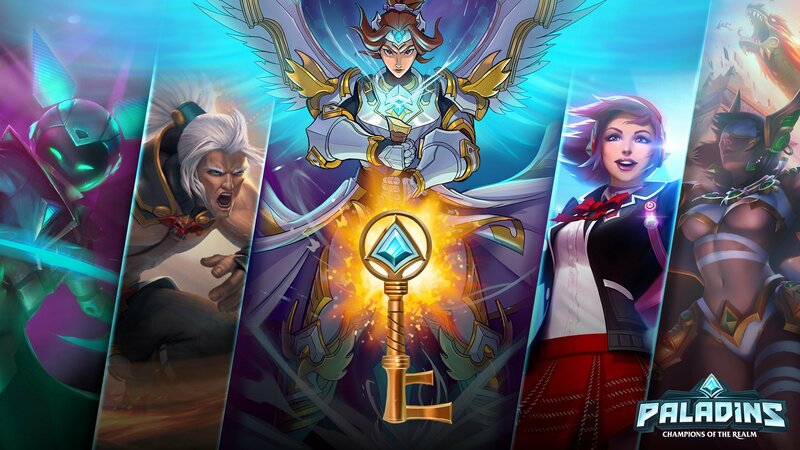 For more on Paladins, be sure to check out some of our previous guides including the best Paladins Champions to play in each class, the best deck build for Cassie in Paladins, and the best deck build for Koga in Paladins. By reading through this article, you should now know what Dragon’s Call is in Paladins.